This property offers easy living on one level, with lovely bright rooms and an enviable . . . If you want a small but perfectly formed three bedroom house with the possibility of some . . . Spacious and full of charm, this house is a welcoming family home with the potential to . . .
On a budget? Cute little house with garden for renovation in a lovely hamlet. This house would make a very nice little lock up and leave holiday home, or a permanent . 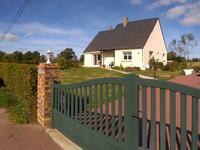 . .
Great little complex comprising a three bedroom house and two one bedroom gites, plus barn . . . Situated in a small hamlet just a few minutes from the lovely riverside town of Putanges Le . . . 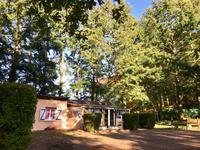 Rarely will you find a property of this quality, the estate is situated in a beautiful valley . . . Location, relaxation and zen... This property is not about the house although it provides a . . .
A sweeping driveway through the wooded garden brings you to the front of this delightful . . . Plot of land with permission for one house. Situated on the edge of a village with lovely countryside views to the front and rear. A good size plot of land 7717m2 with all services available adjoining. Set in a beautiful walled garden, this impressive 18th century building and longere can't . . . Masses of potential here, with generous sized rooms and a beautiful situation it could be an . . .